Home / MOVIE TRAILERS AND INFO / First Trailer to "Transformers" Spinoff Shows the Origins of "Bumblebee"
First Trailer to "Transformers" Spinoff Shows the Origins of "Bumblebee"
Every adventure has a beginning. 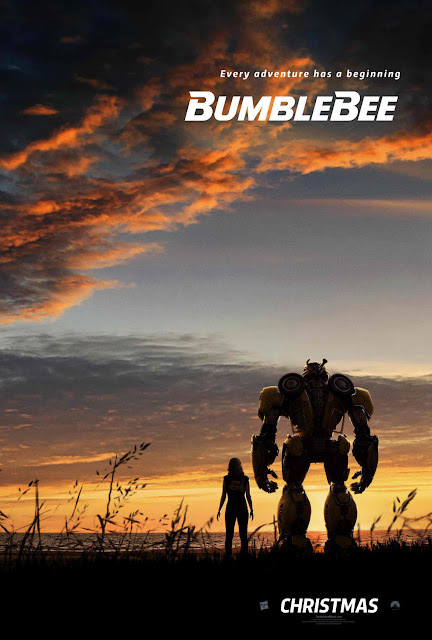 Watch the official teaser trailer for Paramount Pictures’ new action-adventure Bumblebee, from director Travis Knight (Kubo and the Two Strings) and starring Hailee Steinfeld and John Cena. Check out the trailer below and watch Bumblebee in Philippine cinemas January 2019. Bumblebee is produced by Transformers franchise veterans Lorenzo di Bonaventura and Michael Bay, along with executive producers Steven Spielberg, Brian Goldner and Mark Vahradian. Chris Brigham (Argo, Inception) will also executive produce. The screenplay is written by Christina Hodson. Directed by Travis Knight (Kubo and the Two Strings, Coraline), the film stars Hailee Steinfeld (Edge of Seventeen, Pitch Perfect 2), Pamela Adlon (Better Things), John Cena (Blockers, Daddy's Home 2), Stephen Schneider (Comedy Central’s Broad City) and Jorge Lendeborg Jr. (Spider-Man: Homecoming).